HUGE news! 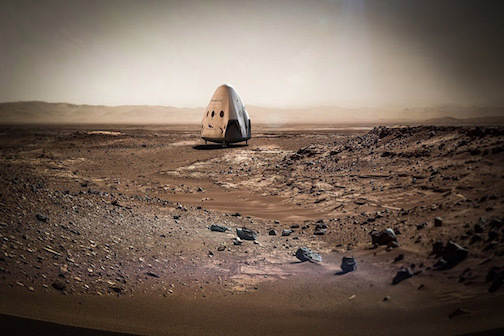 SpaceX/Elon Musk plans sending Dragon to Mars as early as 2018 (a lot sooner than expected). As you may know, I consider this to be the beginning of the BIGGEST MOMENT in the history of mankind. The red future that is coming will be much more real in September when Musk/SpaceX will unveil their Mars Colonial Transporter system and the entire architecture at the International Astronautical Congress. (There is going to be a big buzz over this so something exciting to look forward to there.) September 2016, by the way, is big/intense in many other ways, so a month to watch for sure. This Mars colonization process is the biggest, most profound and important thing happening in the world now and will continue to be so for decades. It is mankind’s DESTINY carved on the surface of Earth in the form of the NILE river which is a literal “RIVER OF TIME”. I decoded it, and it said “Mars, 21st century, end of history” – seeThe Nile Decoded for a crash course on the Time River theory. What is about to happen is the fracturing of time/history. 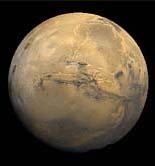 Mars is the first bifurcation point, then all hell breaks loose. Relativity, time travel, extra dimensions, psi, VR… Pandora’s box opening, basically. This big Martian moment in the 21st century will connect back to the time of Sumer, ancient Egypt, etc. (and so naturally my view is the those “gods” there were… you know, us from here, at least some of us… maybe Nazi remnants). Stuck in a time loop, good or bad? Is reincarnation good or bad? Is there an escape from it? These are big questions for sure. The political trajectory of Marco Rubio – name meaning “Mars Red” – is likely heavily intertwined with all this as I’ve been saying for years now. So it was not necessary for Rubio to actually win in the 2016 election cycle. He did more than enough to become a household name, and 2020 is coming soon enough when Mars will be much hotter and will be more publicly emerging as the next New World as ordained by destiny. MARS RISING: Here comes Marco Rubio, our “Martian” candidate, nearly passing Donald Trump for 2nd place in yesterday’s Iowa caucuses behind the winner Ted Cruz (who definitely will not win nomination), making it a 3-way race on the Republican side. The establishment will now rally around Rubio, taking a lot of (hesitant, anti-Cruz) support away from Trump. Rubio is now officially a legitimate contender. Regardless the leading news headlines at the moment, THAT is the biggest news coming out of Iowa/Feb 1. The Romney/Ryan ticket will most likely lose, leaving Rubio to continue to rise as the new face […] and he’ll likely run for the White House in 2016 and win per my original projection. …he’s someone I’ve been closely tracking since 2010 as a Martian presidential figure, projecting his 2016 presidential destiny. Remember when echo chamber was so sure Sept = doom & I kept saying (correctly) August? People so focused on Trump etc., I keep saying Rubio. NOTE 1: Symbolically speaking, Marco Rubio’s presidential destiny is intertwined with mankind’s journey to Mars a la JFK’s moonshot. Since Elon Musk/SpaceX will attempt to put a man on the Red Planet in mid/late 2020s, Rubio can still fulfill his theoretical destiny by getting into the White House in 2020. So winning the nomination/election in 2016 is not a must per se. NOTE 2: 2016 is a fitting year for Marco Rubio/”Mars Red” to rise to prominence, as Mars will be shining very brightly in the night sky this spring reaching its closest point to Earth since since 2003 (when the Red Planet made its closest approach to Earth in recorded history). NOTE 3: My highlighting Rubio shouldn’t be taken as my support. I’m not political and this is all about patterns for me. NOTE 4: Upcoming “Golden Super Bowl” will feature at least two “Martians” during the halftime show: Chris Martin, Coldplay’s front man, and Bruno Mars. UPDATE: Not too surprisingly, Rubio has dropped out of the race. He’s done more than enough to become a household name in this cycle, setting things up for 2020 when Mars will be really hot (via SpaceX etc.). There may be a bit more drama left in this unpredictable 2016 cycle so let’s keep watching. 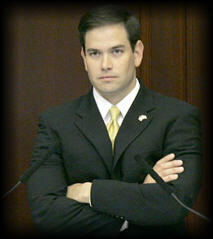 Time For Marco Rubio To Cash In As A Lobbyist?